Shopping Center Maintenance – What Needs Attention? 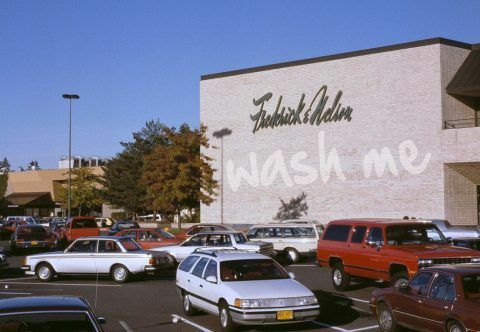 Maintaining your Shopping Center is like maintaining your refrigerator – sometimes there are things in the refrigerator that smell bad because they should have been thrown away a long time ago. And sometimes there are things that should have been fixed or cleaned a long time ago in the Shopping Center that now need attention. Of course, many people miss taking care of things when they first crop up. They think, “I’ll get to it when the weather gets better” or “I’ll get to it when I have some time”. And so as time goes on, the little things retreat from our attention, until they’re no longer little things. Regular Parking lot sweeping not only improves the overall “curb appeal” of the parking lot, it extends the life of the asphalt surfaces. 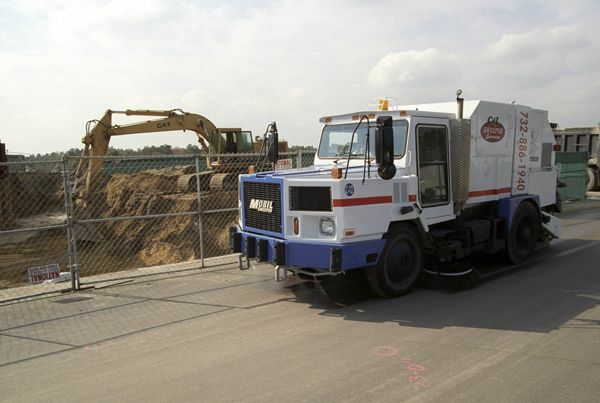 Regular parking lot sweeping removes grit, oils, and pollutants that reduce the life of an asphalt parking lot. The longer the life of the asphalt, the better the ROI (return on investment) for the cost of installing the parking lot. Sweeping is also an environmentally friendly practice, a much-needed practice in an environmentally sensitive world. Scheduling a regular sweeping keeps the parking lot looking tidy and removes the debris, trash and normal leaf and organic matter that collects in corners. A porter is someone who conducts small maintenance duties to keep your shopping center clean. These duties can include removing trash from trash bins, replacing trash bags, picking up larger pieces of trash and debris, and performing cleaning of any grease, oil or organic spills. They are an extra set of eyes on anything that might need additional attention such as broken traffic stops, damaged curbs or sidewalks and other physical equipment that needs replacement such as lights, light fixtures, peeling paint, wall gouges, etc. By using a porter, you can get up-to-date communication on the appearance and maintenance of your shopping center. There is a saying that whatever you place your attention on improves. This is particularly true with regular maintenance. Updating (or creating) a regular maintenance schedule provides an effective baseline for monitoring and measuring ongoing tasks for shopping center maintenance. A task management schedule should be based on client requirements that satisfy process tenant safety, task quality, and environmental requirement. The more clearly you define your maintenance task schedule, the easier it will be to monitor and measure and manage the effective maintenance of your shopping center. C & L Services is a third generation family owned property maintenance company. We have been consulting and servicing shopping centers, commercial properties and communities in New Jersey for over forty years. Our shopping center maintenance services include parking sweeping, portering, asphalt repair, line striping and seal coating. We can help you keep your property in excellent condition with reliable, dependable, cost-effective services. If you’re in North Jersey, Contact us at 908-730-7884. 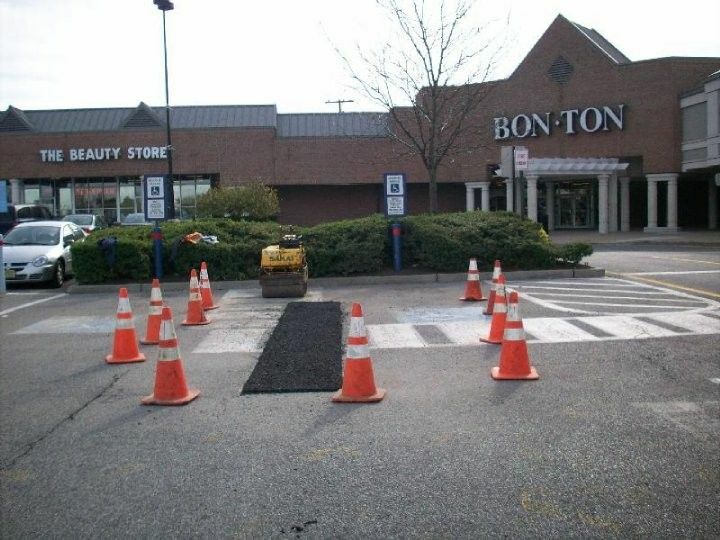 If you’re in Central New Jersey call us at 732-886-1940 to speak with a professional in shopping center maintenance. Having a parking lot full of potholes is no fun. It creates an unsightly property condition that invites complaints from tenants and potential contacts from lawyers. You also have to find money in the budget to get them fixed, coordinate a contractor to fix them for you and provide communications about the upcoming fixes. Bottom line, asphalt repairs are a lot of work and expense for you. And often you don’t get thanked by anybody for the effort. Overly a line grid (3 X 3 is generally fine, more lines if you need more grids if you need them) and identify the rows on the grid with numbers and the columns on the grid with letters. This way you can identify specific areas for repair by a grid number (the two potholes in grid 2C) rather than a vague description in a general area. 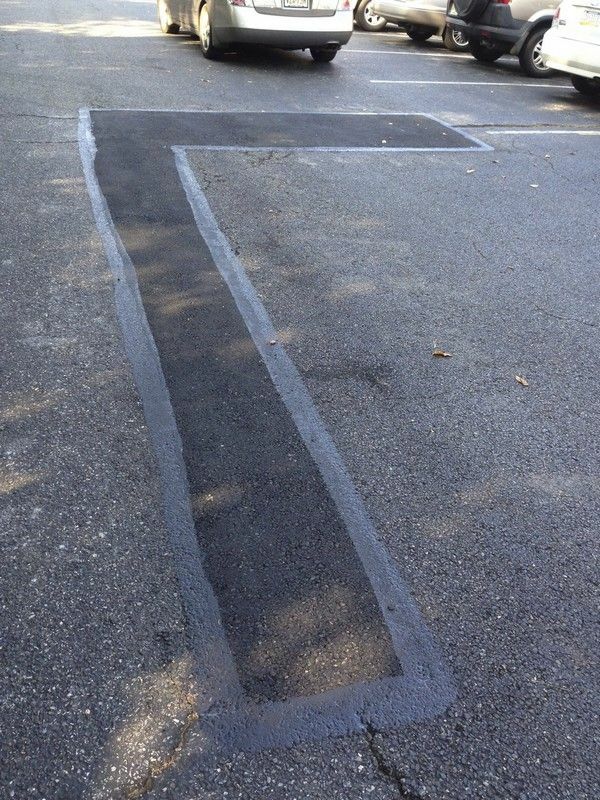 Walk the area and identify specific asphalt repairs by the grid. Rank the problems in order of severity. Very severe issues should get the most attention. These are usually the repairs that “must” be completed. Do a rough calculation of repair costs and determine if there is sufficient money in the capital reserve budget to complete these repairs. If the budget allows, evaluate the less severe issues and include them in the overall repair project. Ideally, all issues should be repaired, however, budgets are generally the primary constraint and is a priority in the planning phase. Communication is critical. Takes some time the week before the project to inform all affected parties about the pothole repair project. Use a variety of communication channels (email, letter, flyer, word-of-mouth, FaceBook notification, Twitter) to publish who, what, where, and when the project is going to be initiated and finished. Let the professionals do their job, but keep an eye on any deviations from agreements and commitments. After he project is complete, use you grid map to conduct a thorough inspection of completed work. If any work does not meet expectations, notify the project manager immediately for correction and completion. Well, there you have it. Hopefully, this only occurs once a year (not at all if you pavement area is newer) and can go smoothly and cost-effectively without too many road bumps. Our asphalt repair and maintenance services include pothole repair, asphalt repair and replacement, seal coating and line striping. We can help you keep your pavement in excellent condition with reliable, dependable, cost-effective services. In northern New Jersey Contact us at 908-730-7884. If you’re in central New Jersey, call us at 732-886-1940. 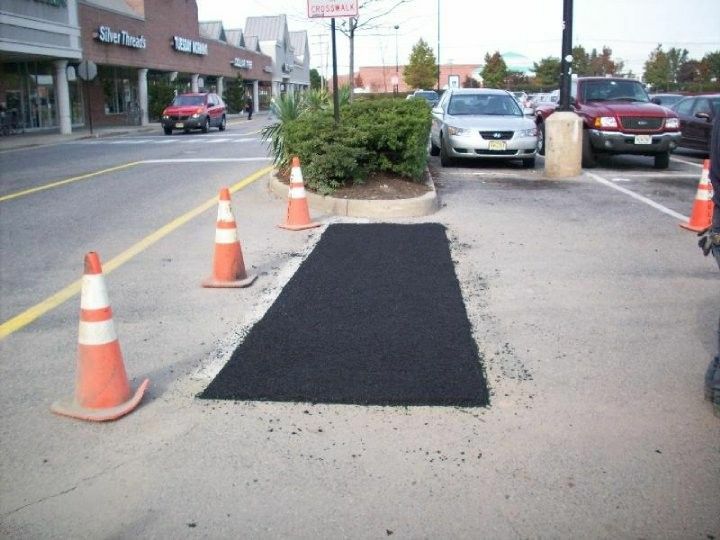 Our professionals will be glad to assist you with any asphalt repairs. Town councils, municipal administrators, and township staff all want happy residents. At no time is this more noticeable than at the beginning of spring. One quick way of guaranteeing this is by street sweeping to keep the neighborhood clean and safe. The return of spring usually reveals the dirt, debris, and salt which has accumulated on town roads during the winter months. This usually leaves streets, sidewalks, and parking lots looking dirty and unattractive. To residents, an unattractive town is a source of irritation. However, the concerns of residents are not the only things town authorities have to worry about. There are also environmental laws that require compliance on a regular basis. Cleaning up the streets is part of regulatory compliance. This is precisely why towns and municipals schedule street sweeping as part of their yearly springtime clean-ups. The big challenge that authorities face is finding an experienced company to provide professional street sweeping services. As with all customers, municipals need a company which can provide professional street sweeping services at an affordable cost. This company needs to have the equipment, personnel, and resources for providing top-notch sweeping services. Above all, it should have the experience and capability of providing their services on the scale required by municipal authorities. One company which has all these qualities is C & L Services. 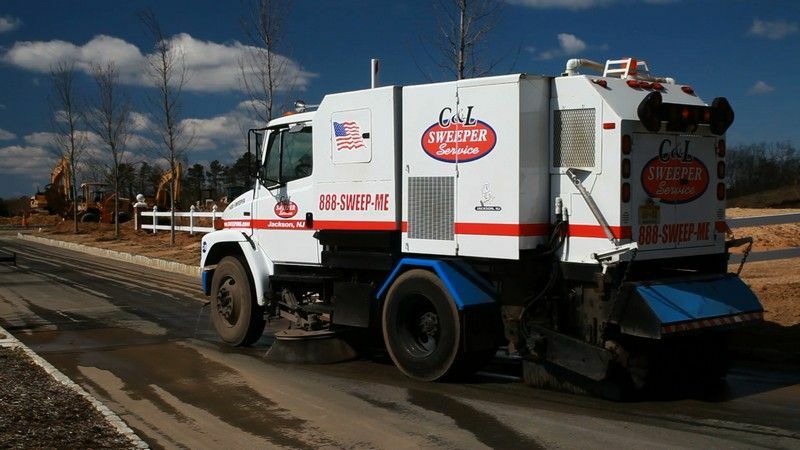 Renowned for providing superior cleaning services, C & L is the perfect provider of street sweeping for municipalities in New Jersey. For starters, C & L is conveniently located in Central New Jersey. This provides quick access to most of New Jersey’s major highways. C & L Services can easily access most areas of the state and respond to municipalities within a short time. Basically, C & L can deploy to the communities that need street sweeping services without the slightest delay. 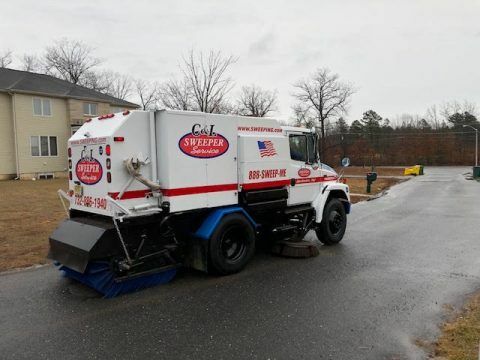 C & L Services also has a new fleet of street sweepers. This means that we can deploy to multiple locations simultaneously. This makes life easy for municipalities which want to restore numerous neighborhoods at the same time. We can deploy our crews to different locations, and coordinate the efforts to clean up those neighborhoods. C & L has a host of equipment for cleaning various kinds of surfaces to varying degrees. We can asphalt, concrete, porous, gravel, and many others. This means that we can easily clean up street surfaces, sidewalks, parking lots, municipal routes, and expressways. Beyond just sweeping surfaces, we can clean up and unclog nearby drainage channels. Finally, C & L Services has the expertise and personnel to provide the best cleaning services possible. All our cleaners are highly trained professionals who are passionate about their work. We delight in delivering quality results and restoring a sense of hygiene and pride to neighborhoods and communities. If you are a town council member who is dedicated to restoring cleanliness to your neighborhoods during the springtime clean-up, C & L Services can get the job done. We can offer you the professional street cleaning services which you deserve at costs you can afford. The best part about C & L Services is our services are environmentally friendly. Our street sweeping is carried out with eco-friendly equipment, techniques, and detergents. Therefore, we can help you to comply with environmental laws in a way that will satisfy the law and the town residents. 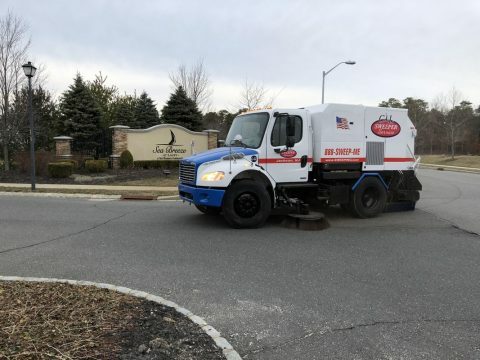 To find out more about C & L municipal street cleaning services, give us a call at 732-886-1940. We’ll be glad discuss your needs and demonstrate our expertise in with municipal street sweeping. Pavement Maintenance – What is the Purpose? Pavement Maintenance – Not A High Priority? Pavement maintenance is often among the least prioritized element of property management. Most property owners and managers often don’t give it much thought. They think maintaining pavement is a minor inconvenience (as opposed to the actual buildings people use) which can easily be overlooked. Others want to wait until something happens to the pavement before they act. This is a mistake because pavement does need regular maintenance. And not just a major overhaul like repairing or replacing large sections of the pavement. Part of the necessary maintenance includes sweeping, seal coating and simple repairs. The ultimate question is: what is the purpose of pavement maintenance? Broadly speaking, its purpose is similar to other kinds of maintenance i.e. keeping the property in peak condition. Specifically, though, pavement maintenance is important for the reasons below. It is often said that “you don’t get a second chance to make a first impression”. This is certainly true for properties. When potential clients or tenants visit a property for the first time, the pavement is the first thing they see. A pavement which looks dirty, unkempt and in disrepair can create a negative impression which can be difficult to overcome. On the other hand, a pavement which is clean, well-maintained and attractive creates a positive impression which can pay dividends later. In order to ensure that visitors to a property get a positive first impression, ensure that the pavement (parking lots, walkways and entries) are well-maintained. The pavement (specifically a parking lot) is often a very large investment which provides actual value to tenants, clients and ultimately property owners. For instance, a well-striped and demarcated parking lot of a commercial property makes navigation very simple for first-time visitors – something which businesses operating with the premises greatly appreciate. Keeping such a high-cost asset looking great and in a state of good repair is a smart business decision. Waiting for it to deteriorate to the point of costly overhauls is simply bad business. Maintenance in this context includes regular portering (trash removal), sweeping, crack filling, pothole repair, and line striping. People are often warned “don’t be penny wise and pound foolish”. This advice certainly applies to property owners and managers when it comes to maintaining pavement. As mentioned earlier, many want to postpone minor repairs and only perform major ones. This actually turns out to be costly. Pavement maintenance saves on costs. It does this by preventing deterioration which is much costlier to fix. For instance, filling a crack prevents the crack from expanding into a pothole or substrate failure which ultimately costs much more to repair. In summary, pavement maintenance is something which every property owner and property manager need to invest in. 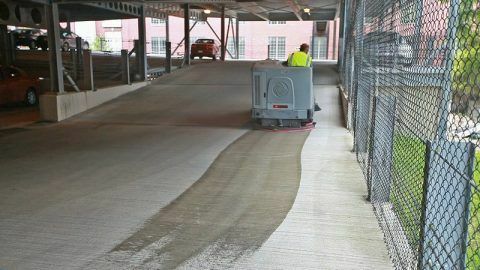 This is because it can improve the appearance of the property, preserve the value of the pavement and save on the costs of property maintenance. Do you want to enjoy these pavement maintenance benefits? Then find the right company to provide these services. A profession pavement maintenance company should be able to satisfy your needs, tailor their services to your specific property, and do all this without requiring you to break the bank. We are that company and you can call us at 732-886-1940. We specialize in property maintenance and can provide high caliber, cost effective pavement maintenance.